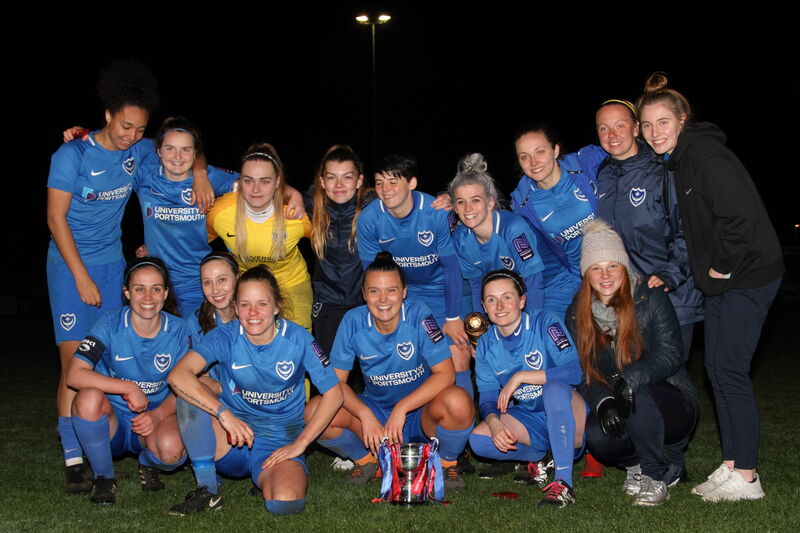 Portsmouth were 3-1 winners over Southampton WFC last night in the Hampshire FA Women’s Cup final, in front of a competition record 557 fans at AFC Totton. 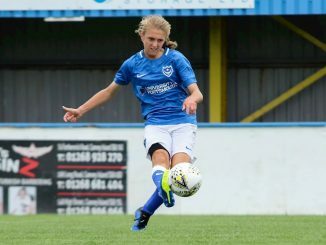 Pompey, who play a division above their opponets, imposed their seniority with two quick goals in side 17 minutes. Danielle Rowe smashed home a loose ball from a corner and Shannon Albuery doubled the lead following a good save from Issy Foster. 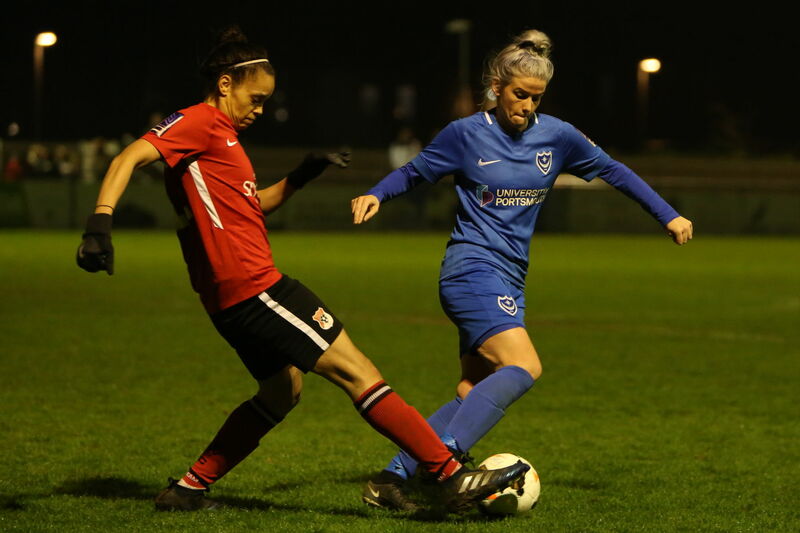 Southampton had a good spel in which Hannah Samuels fired just over the bar but in was 3-0 on 37 minutes, Jade Bradley with a long-range effort. 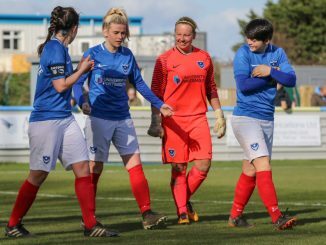 Midway through the second half, substitute Nat Barister’s cross deceived Melissa Burns in the Portsmouth goal to reduce the arrears but it only proved to be a consolation.